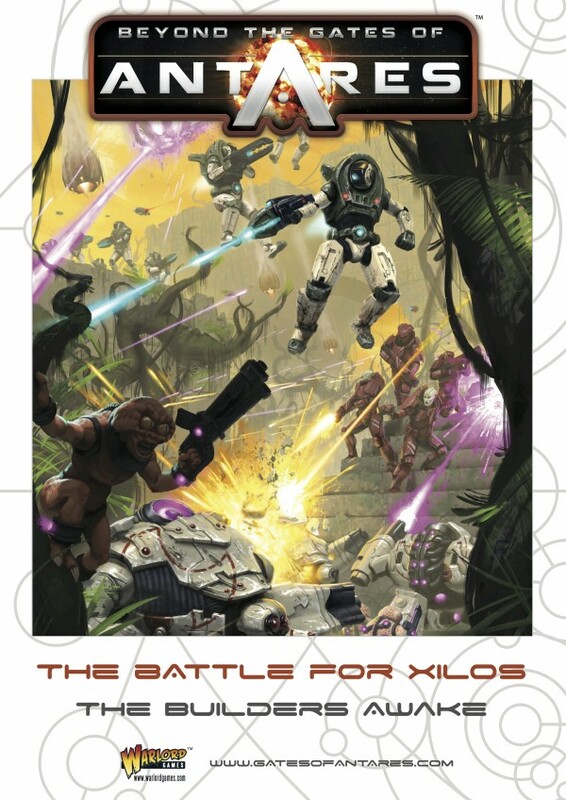 The Battle for Xilos is here. We've been seeing previews of the various characters that are coming with the book (starting with Fartok, the greatest of them all), but there's more than just the characters inside. Being the first supplement for Beyond the Gates of Antares, everyone's getting a bit of something. It's now those things that you can order from Warlord Games. For the Algoryn, you get the likes of General Tar Es Janar as well as a Medic team (people are known to get hurt in a war. It's good to have someone out there to help them). The Freeborn are getting Amano Harran as well as the Hound Probe Shard (they don't actually look like bloodhounds, unfortunately). Then there's the Boromite Guildess Arran Gestalin, the Rock Rider Squad, as well as the Micromite Probe Shard. And the Ghar have Fartok (of course) as well as the Outcast Rebels Command Team. You can order all of these now over in the Warlord Games webshop.